With the level at which lives are changing, people have also adopted the new trends of adding aesthetic value to houses and offices. 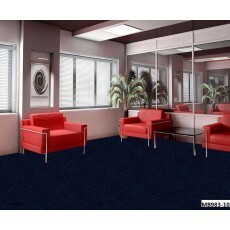 For large houses and offices that have a lot of space, a wall to wall carpet is the ideal choice. When the surface appears as one large and uniform pattern, there is a very special presentation that is achieved, which in a way compliments the interior design elements. With the help of professional decorators, you can trust us to provide you will quality blue-white wall to wall carpet that will give your house or office a new look. Wall to wall carpets’ physical components is supposed to meet the demands of a customer once combined. Carpets are made of various types of fiber, which includes wool, acrylic, polyester, nylon, and olefin among others. Need to give your office or house a touch of beauty? Visit Petcarl-Décor to buy quality wall to wall carpet that will give your house a different look.